An air-droppable missile defense complex is being developed for Russia’s airborne forces to ensure that after landing, troops have the means to secure the skies and prevent inbound airstrikes. The system will be the first operating version of its kind in the world. Russia’s airborne troops will soon have the means to effectively establish local no-fly zones with the help of a mobile crawler-mounted Ptitselov (Fowler) air defense complex, a hybrid of the well-known Pantsir-S1 (NATO designation SA-22 Greyhound) cannon-missile system mounted on an air-droppable BMD-4M armored vehicle. “The Russian Army is going to become the very first to obtain air-droppable SAM complexes,” Viktor Murakhovsky, a member of the advisory council of the Military-Industrial Commission, told TASS. 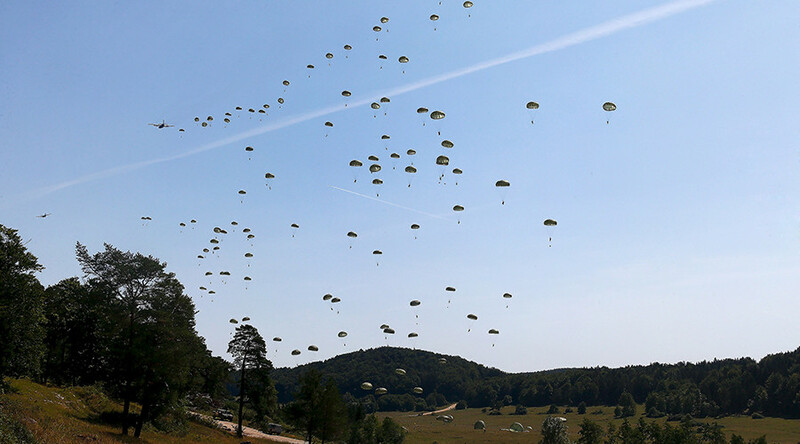 Until now, paratroopers could only defend themselves from air assault using close-range Igla and Verba MANPAD systems. The Fowler complex will become a “long hand” for airborne troops, ready to engage targets at medium and high altitudes, Murakhovsky said. The characteristics of Pantsir-S1 suggest it can engage targets at altitudes of 15 meters to 15km at a distance of up to 20km. 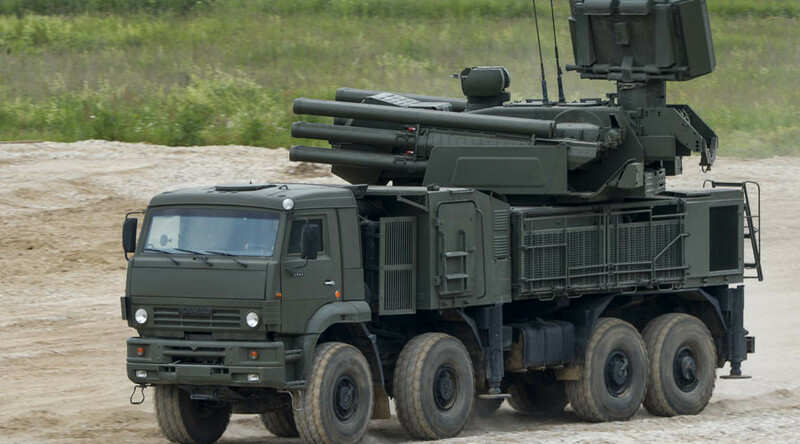 The Pantsir-S1’s missiles intercept airborne objects traveling at speeds of up to 1,000 m/s (3,600 km/h), meaning it is capable of downing any aircraft, cruise missile or drone. The complex also effectively engages “smart” air bombs, and was specifically designed to take down assault helicopters using its two independently-operated 30mm cannons. Its radar spots targets at a distance of up to 36km. 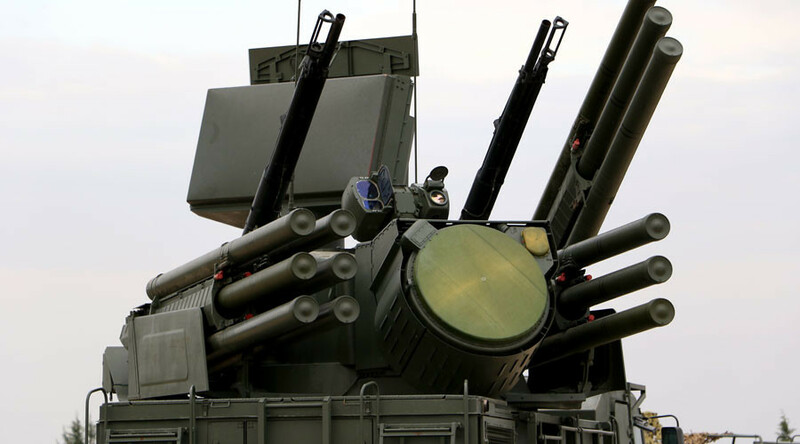 To make the Fowler complex more compact, the combat module of the Pantsir-S1 could hold fewer launch-ready missiles than its prototype, which holds 12 rockets. Another remarkable feature of the Fowler is that its crew will be air-dropped inside the vehicle, as is already the case with all other Russian paratrooper vehicles. 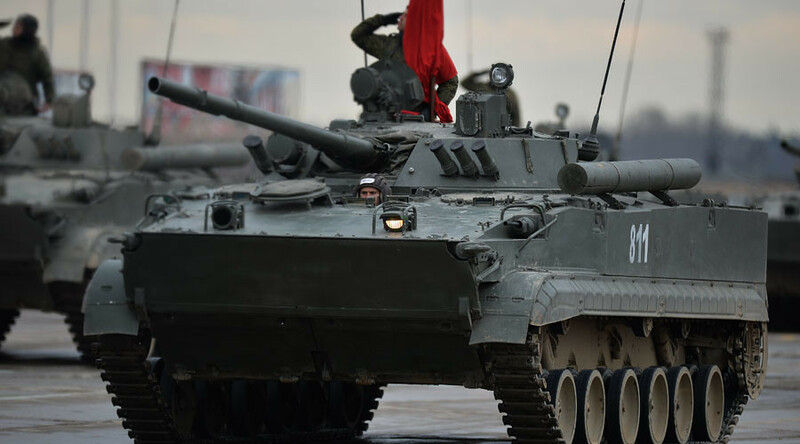 The BMD-4M armored airborne assault vehicle went into service a short while ago. It looks like a small tank armed with two cannons - one 100mm and the other 30mm calibre - and a machine gun. It has been fully tested for parachuting, so the principal task for engineers is to adopt the battle module of the Pantsir-S1 for problems that could emerge with the airdropping of the precise electronic and missile systems. An Ilyushin Il-76 military cargo plane can take on board two BMD-4Ms and securely deliver them to a desired destination using the parachute retrorocket airdrop system.